A CNS infection is an infection which involves the central nervous system in some way. Meningitis is one of the most common and well known types, involving the meninges, the coverings of the brain and spinal cord. Other types of infections involve the brain or spinal cord directly. For example, a cerebral abscess is a bacterial brain infection and encephalitis is typically a viral infection of the brain. In general, an infection is a disease caused by the invasion of a disease-causing micro-organism or virus. The growth of the bacteria, virus or other invading organism in the human tissues causes damage and inflammation by a variety of mechanisms. 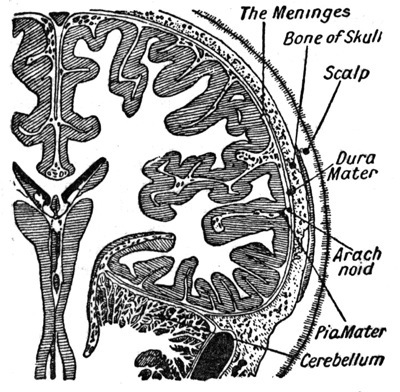 Meningitis is one of the most common forms of infection affecting the nervous system. It is characterized by infection of the membranes covering the brain and spinal cord, centered in the cerebrospinal fluid that surrounds the nervous system. Return to the top of the CNS Infection page.